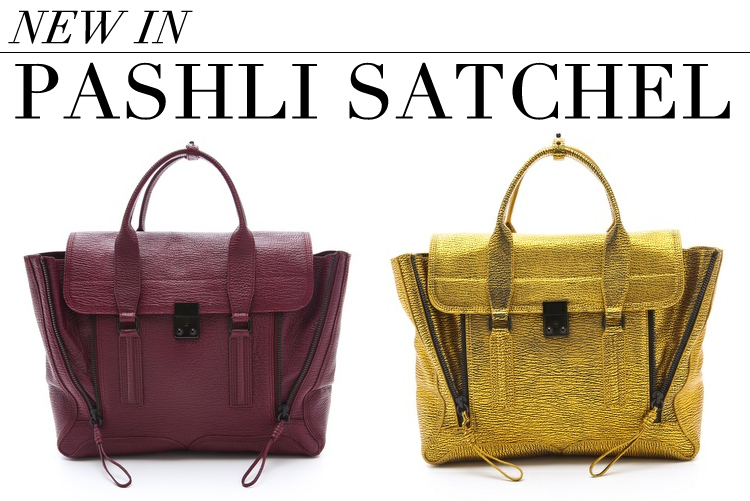 I’m totally crushing over these new fall arrival Pashli Satchels from 3.1 Phillip Lim! The gold one offers an edgy feel on a classic silhouette, and the aubergine is a great bordeaux/burgundy blend that isn’t as expensive as the other designer bags I’ve been eyeing. Love! Get the gold one here and the aubergine one here.